Here's part two of our report on Games Workshop's Inner Circle 2017 North American competition. 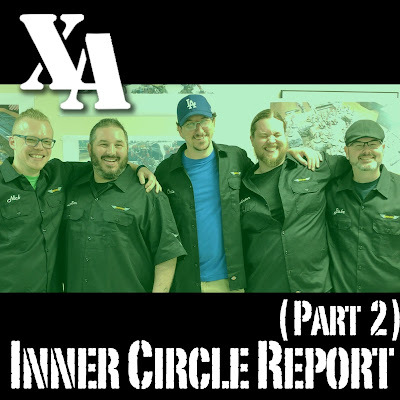 In this second episode, we interview the 5 Inner Circle Champions about their armies, their backgrounds in 40k, and other bits of ridiculousness like which Age of Sigmar creature they'd most want to ride. This second part completes our report on Inner Circle, so please let us know what else you'd like to hear us podcast about. We've already had numerous requests to extend our episode on Tyranid Design to talk about Forgeworld Tyranids, and we're thinking about doing an ep reviewing how well the new Xenos Indices present Tau, Tyranids, Stealer Cult, and maybe Dark Eldar from a fluff perspective. So, yeah, let us know what you think, or if you have any ideas. As always, if you think this podcast sounds good, all credit goes to Brother Pink. The Xenos Alchemist podcast is based on SoundCloud, but we can also be found on Stitcher, Google Play, and iTunes. If you have any comments on this episode, please leave them in the comments section below. Good episode, I enjoyed that. It would be good to hear your thoughts on the various Xenos indexes… Looking forward to that episode in due course! 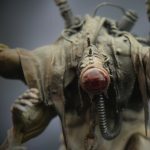 How to Sculpt Miniatures - Video Tutorials!